Following graduation from Weber State University in 1990 with a Bachelor of Science in English and a Business Minor, Marjorie obtained her law degree from J. Reuben Clark Law School at Brigham Young University in 1993, where she was active in the Student Bar Association. She obtained the highest grade in her bankruptcy class, which interest lead to her subsequent focus in the bankruptcy field of law. Following law school, Marjorie was an associate at Timothy S. Cory & Associates from 1993 to 1995 when she opened her own law firm. She subsequently opened the firm of Goldsmith & Guymon, P.C. with Dara J. Goldsmith in 1996. She practices primarily in bankruptcy, business law, estate planning, family law, guardianship, probate and trust administration. Marjorie is licensed in Nevada and Utah, admitted to practice in both state and federal courts in both jurisdictions. She is also admitted to practice before the 9th Circuit Court of Appeals and the U.S. Supreme Court. 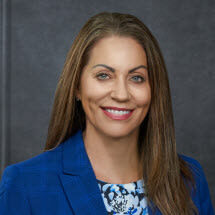 Marjorie has practiced law in the Las Vegas area in excess of 20 years during which time she has served the community providing significant pro bono legal services. Among other accolades, she received the Legal Aid Center of Southern Nevada Pro Bono Attorney of the Year Award in 2011, while her firm has received the Clark County Pro Bono Law Firm of the Year Award in 2001, Legal Aid Center of Southern Nevada's Lied Award for most pro bono cases taken by a law firm in 2008, and the Clark County Pro Bono Project's Law Firm of the Year in 2008. Marjorie is also actively involved in various legal organizations, such the American Bar Association, State Bar of Nevada, Clark County Bar Association, Southern Nevada Association of Bankruptcy Attorneys, Southern Nevada Association of Women Attorneys, the American Bankruptcy Institute, the National Association of Consumer Bankruptcy Attorneys. Additionally, she holds an AV rating which is the highest rating as voted by her Peers and recognized through Martindale Hubbell. She holds an AVVO rating of 10, also the highest rating possible given by the public, as well as the AVVO Public Choice Award. She has been rated by Super Lawyers and listed among Whose Who for Excellence in Legal Service. When not working, Marjorie spends her time with her husband and son with whom she travels, snow skis, wake surfs, bikes, and volunteers time to her church.